Call on our Mayors to stand up for our people and our climate, and sign on the the statement against hosting the Oil Conference in our cities! Show the industry there is no place for new oil and gas in Aotearoa! Show our city the climate leadership we deserve, and publicly stand against the Oil Conference! Dear Mayor Andrew King, With the recent increase in intense cyclones, the record-breaking heatwave, and flooding across the country, I’m sure you understand how urgently cities in Aotearoa need to act regarding the future of our climate. As a resident of Hamilton, I call on you, Mayor of Hamilton, to show leadership on climate change on behalf of our city, and sign on to the statement (http://world.350.org/nz/our-work/mayors-statement-oil-conference/), publicly stating your opposition to our city hosting any future Petroleum New Zealand Conferences*, and refusing the conference event access to Council-run venues. On March 26th and 27th, global oil industry leaders and experts will meet in Wellington to discuss and plan to extract, explore for and produce more fossil fuels in Aotearoa. The event website states that the sector is, “poised for action and ready for growth,” a statement we cannot allow to be true if we are to keep global warming below 2 degrees. Keynote addresses at the event include speakers from Exxon Mobil, a corporation known for actively setting climate policy back decades through climate denial and destruction of the climate, and from Halliburton, a corporation with a highly controversial environmental and human rights track record. In a time when science clearly tells us that we must keep fossil fuels in the ground, and we have nationally acknowledged that climate change is our generation’s “nuclear-free moment”, this conference is unacceptable in New Zealand. 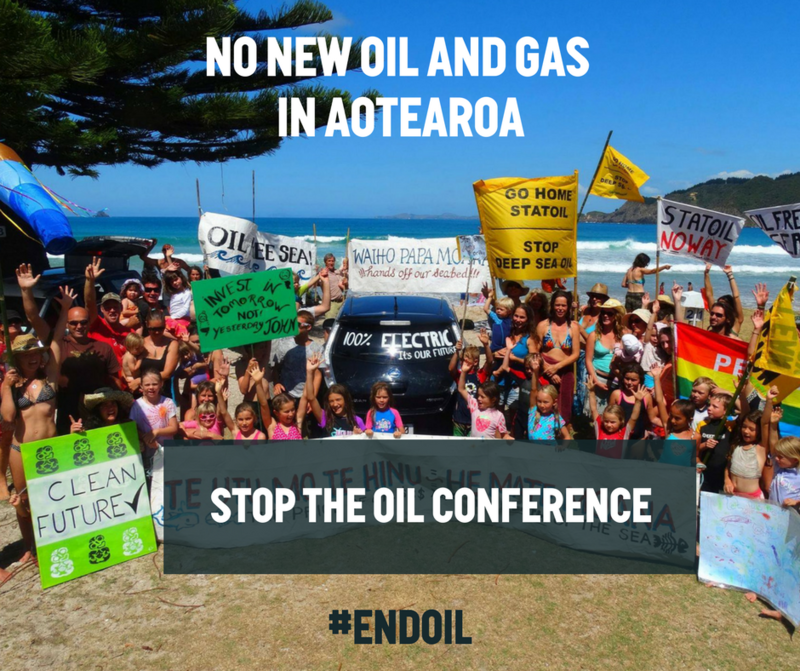 For the last five years the Oil Conference has been confronted with continuously mounting opposition from the New Zealand public, faith groups, Iwi and the NGO sector. In the past, mayors of New Zealand have taken a stand when events have been deemed inappropriate. Mayors played a key role in the push for a nuclear-free Aotearoa, and it is now time for mayors to continue to show their leadership on climate change. Please show our city the climate leadership we deserve, and publicly stand against the Oil Conference. Sincerely, NOTE: *The name of the conference often slightly changes, the conference is colloquially known as the 'Oil Conference'.